Building Muscle but Losing Hair? Body conscious men and women everywhere are in the gym every day trying to look and feel better about themselves. Many turn to supplements to help increase muscle and lose fat. However, in the process they are losing something else: their hair! Many of these supplements contain anabolics, creatine, steroids and growth hormones. These tend to increase testosterone and DHT levels thereby creating hair loss. During my 20 year practice I have seen thousands of patients that have accelerated their hair loss because of the use of supplements that also contain whey isolates with a high level of amino acids. It is important when looking for supplements, snacks and meal replacements to choose ones that are not derived from whey isolates with high levels of amino acids. This can cause stress to the kidneys and other organs, increase blood pressure and speed up hair loss. A better choice is actually whey concentrate with a balanced level of amino acids. This in conjunction with vitamins, minerals and biotin can actually promote healthier hair. Products should be all natural, organic and contain only 12-20 grams of protein per workout as opposed to 30 grams or more. You should also avoid soy products since they tend to affect the thyroid which controls hair growth. Having a great body doesn’t mean your hair should fall out. Protect your hair with the proper nutrients and it may well last you a lifetime. 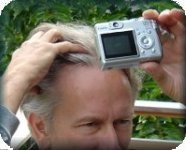 This entry was posted in Baldness, Exercise, Hair Health, Hair Loss on April 1, 2009 by Larry Shapiro.